The MLB has finally listened to it's fans. 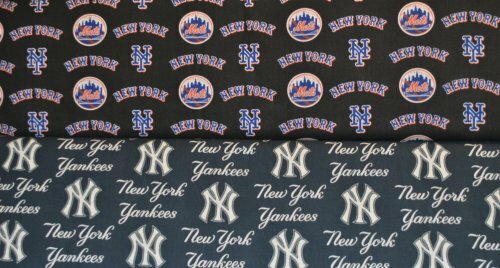 They have released the rights to produce cotton fabric with MLB teams. Look what showed up at the Shop today! Both bolts are 60" wide and 100% Cotton! We know alot of quilters and sewers have been anxiously awaiting for the MLB to release permission to manufacture cotton baseball fabric. This fabric is on our shelves now! I have a feeling once people start buying this, it will start to be on backorder. We've been keeping this under wraps so that we could surprise everyone when it came in. We hope everyone is surprised and happy to see baseball back in cotton. Happy Easter to everyone and have a wonderful Easter weekend. Keep those stashes full, quilters! Hi everybody! Obi the Wonder Dog here! Mom, stop rolling your eyes! Today has been such a beautiful day! Mom opened the back door so I can run in and out today. I started cleaning the leaves out of my swimming pool so Mom can fill it soon. It's hard work getting those leaves out when you only have paws and a mouth to do it. There's even a little bit of water in the pool. I've been playing in that, too! I spent the morning greeting customers and napping. I met some new people today! But this afternoon, I'm going to go outside and play.